Bigben Interactive, a video game publisher and distributor, is proud to announce today its participation at E3 2016, to be held June 14-16 at the Los Angeles convention center. Be prepared! WRC 6 is about to elevate the franchise to a new level of realism and excitement. Bigben and French studio Kylotonn Racing Games are inviting you to an exclusive E3 preview of WRC 6 with an impressive multi-screen demo setup. WRC 6 will feature all 14 rounds of the official 2016 WRC season, including, for the first time, Rally China, as well as all big name WRC drivers and a wide selection of WRC 2 teams and competitors from the Junior WRC category. For the first time in any modern rally game, WRC 6 will offer VR support on PC. The game is set to release in autumn 2016 and will be available for PlayStation 4, Xbox One and PC/Steam. The young and innovative brand Nacon, creator of popular PC gaming accessories, will present the GC-400ES eSports Controller, as well as other new peripherals focused on the needs of PC gamers. Designed to compete with the performance of traditional keyboard/mouse, the GC-400ES is completely optimized for all types of games including MORPG, MOBA, FPS and more. On the accessory side, E3 is the opportunity for Bigben to premiere its brand new products dedicated to the PlayStation 4. Developed by Frédérick Raynal’s team, the father of the survival-horror genre and a creator of classics including Alone in the Dark, 2Dark (PC, PlayStation 4, Xbox One), is an adventure game blending horror and stealth. 2DARK is scheduled for release at the end of 2016. In the dark town of Gloomywood, Smith will have to investigate various kidnappings and brutal murders committed under strange circumstances… As the last hope of the children being held captive by serial killers and other madmen, Smith will have to show discretion and composure to save them. Sherlock Holmes: The Devil’s Daughter(PC, PlayStation 4, Xbox One) is a unique adventure game that blends exploration, investigation and action for a breath-taking and fantastic experience. 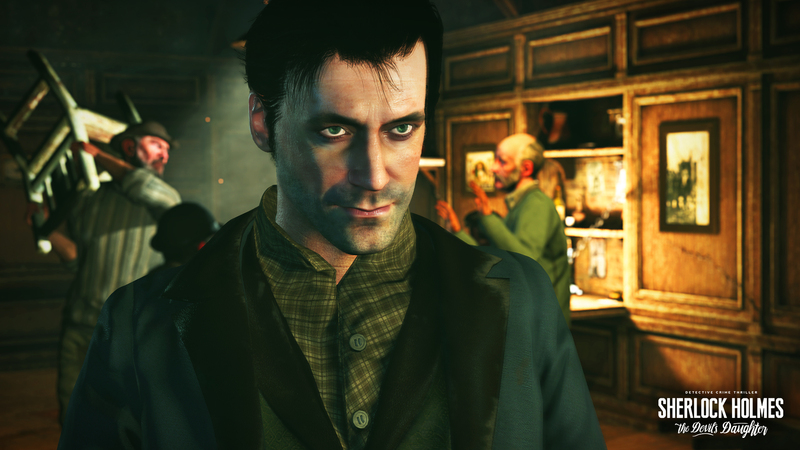 The development studio, Frogwares, development studio, will be present in Bigben’s E3 booth to showcase the latest in the Sherlock Holmes series. The game will launch in Europe on June 10 and for North American players in summer 2016.